If you been reading my blog, you might have noticed I usaly drape my patterns instead of using the plain pattern drafting techniques. What you might not now however, are that draping is a skill I’ve learnt les than a year ago. I’m a trained pattern-maker, and only recently learnt (while working in the theatre ateljere) how to drape a big collar on a dressform to get a nicer shape. 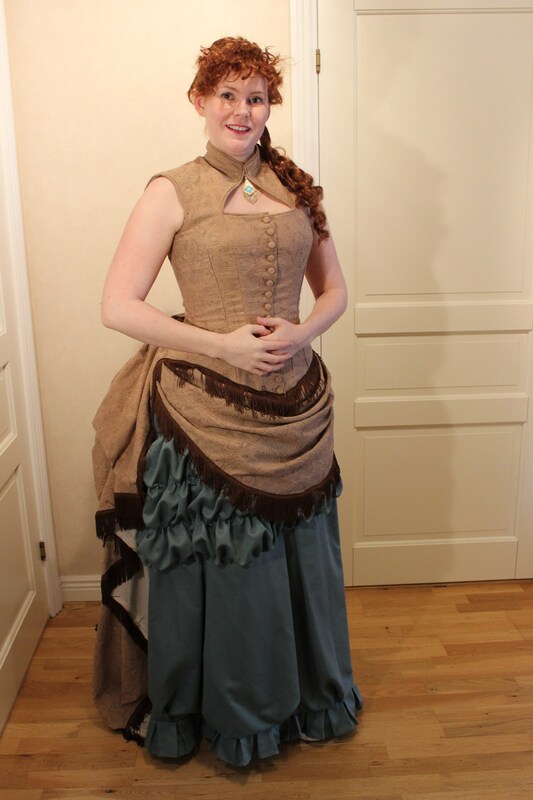 Until april/may last year, when I decided to try to drape my very first costume piece (The Francaise a la Merteuile). The result was great and I was hooked. 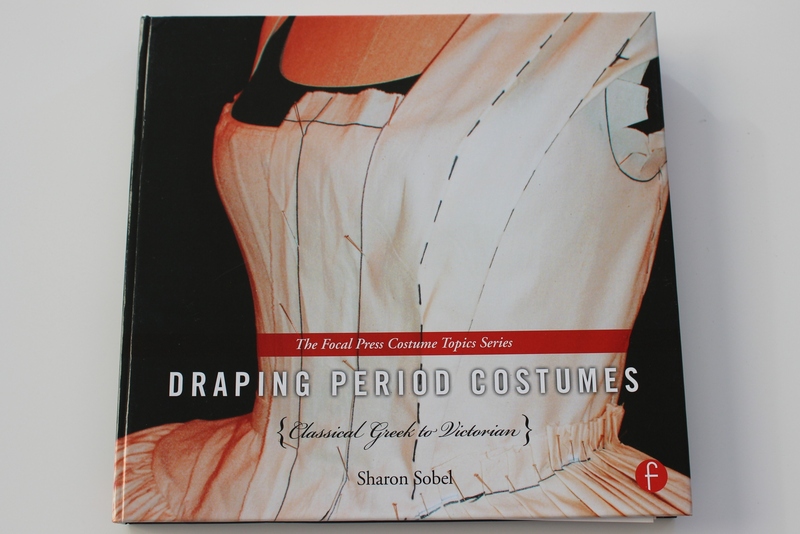 I started to use this metod on most of my costumes, and though it whent pretty good, I ofthen thought about getting a book that would help me take my draping to another level. And today I will review the first historic draping book I’ve ever found. 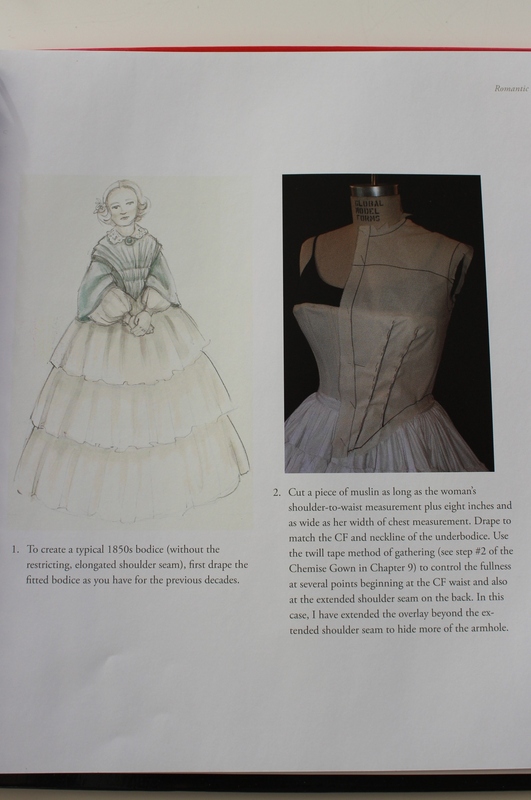 A relativly new, step by step book in the art of draping historical patterns, for theatre or costume design. 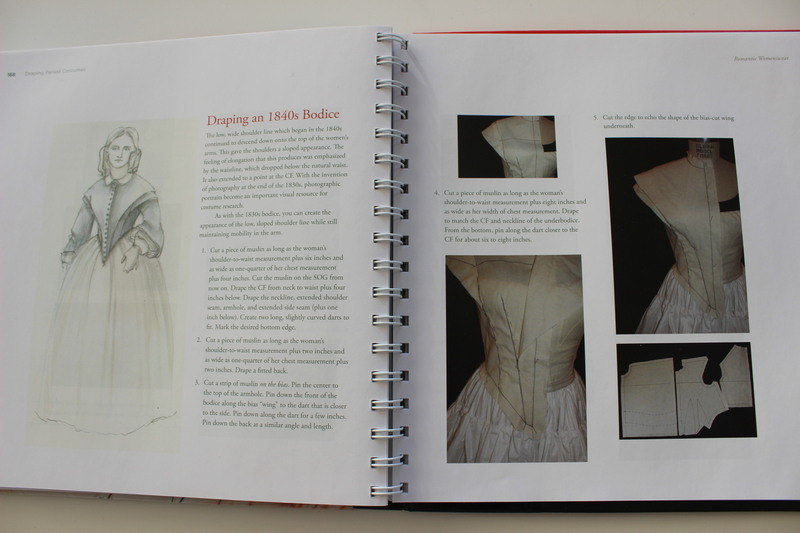 It contains about 50 patterns for different styles of clothing, from the ancent greek to the busteled Victorians. And about half of them are Mens styles. Late 17th century gentlemans Coat. 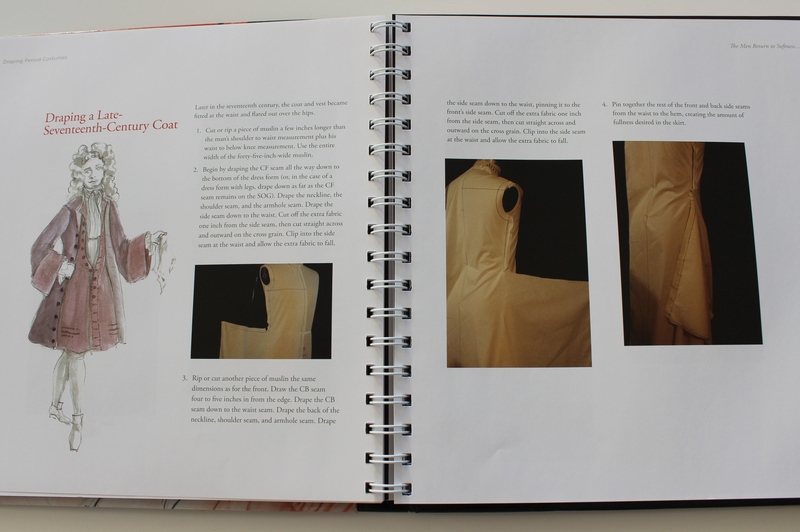 It also contains a chapter on the basic of draping, preparing your dressform and transforming the draped fabric to pattern pieces. Stuffing the dressform for a bigger size. 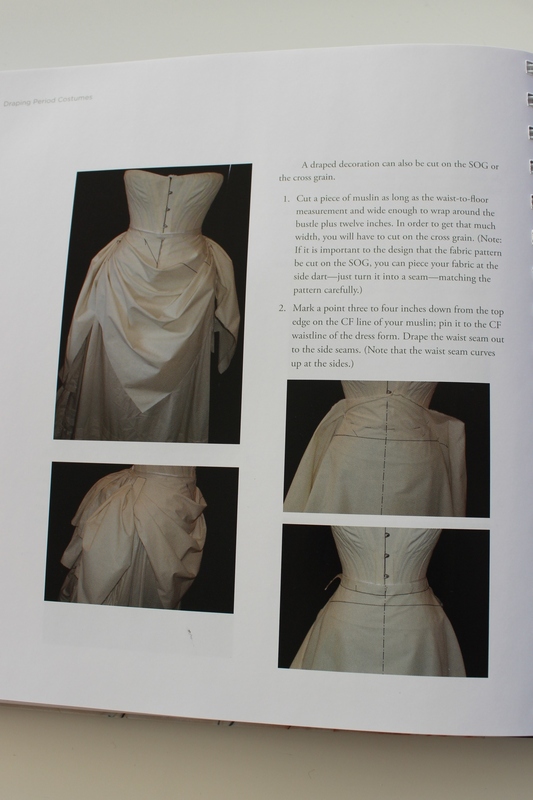 I think the chapter on draping basics in the begining of the book are realy good, and worth reading even for an experienced draper/patternmaker. And I LOVE that it include so many gentlemens patterns. 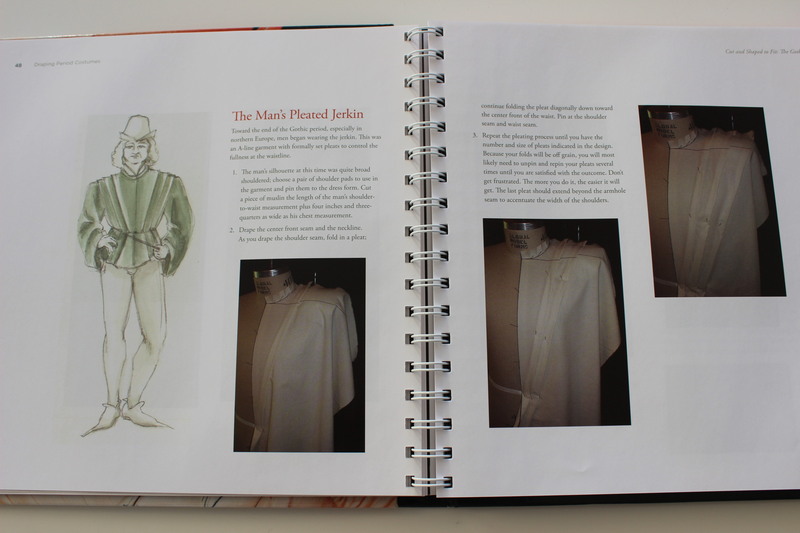 Mostly the men only get a very smal amount of space, but this book really pulls of the task of showing the variation in mens fashion and dress. The composition of the book, starting simple with greek tuniks and then moving forward through history making the garment harder and harder as you go along, are very nice and makes you, towards the end, confident enough to take on any period or style. I think the step by step instructions for every pattern are great and really easy to follow, even for a beginner. 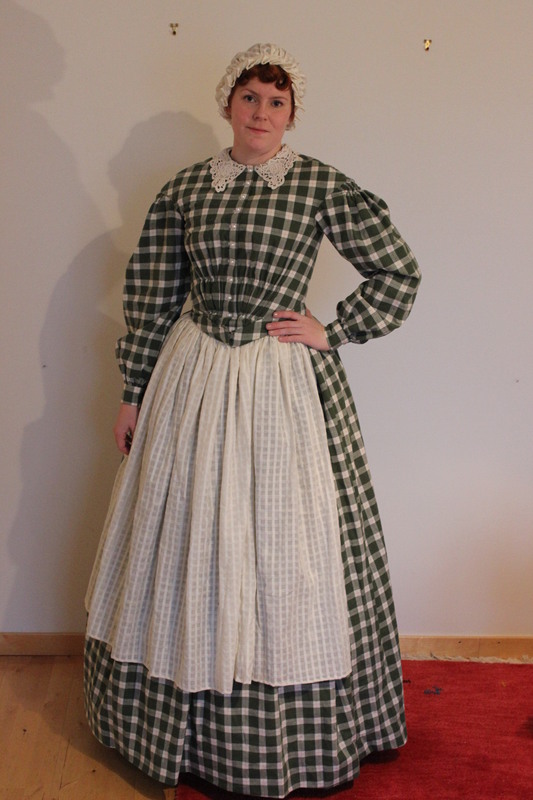 I used the patten for Decortive Victorian Apron, on my 1880s Evening gown. 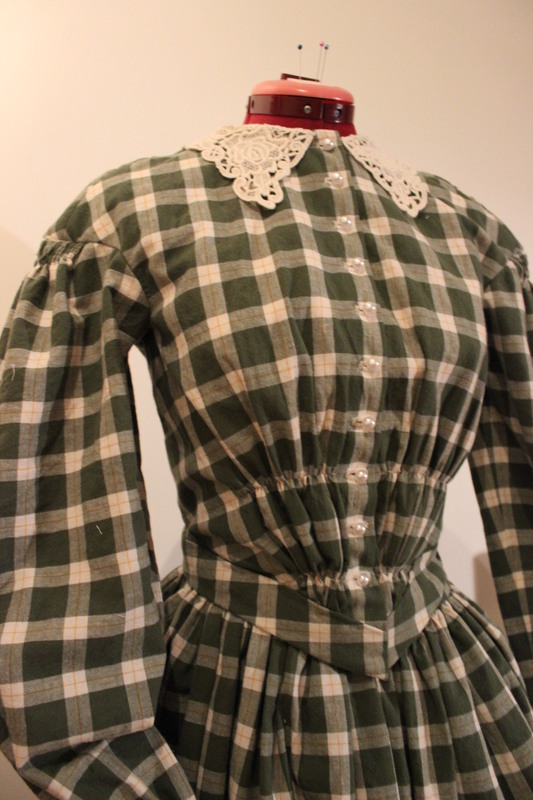 And a combination of the two 1840-1850s dress-pattern for my 1840s green dress. 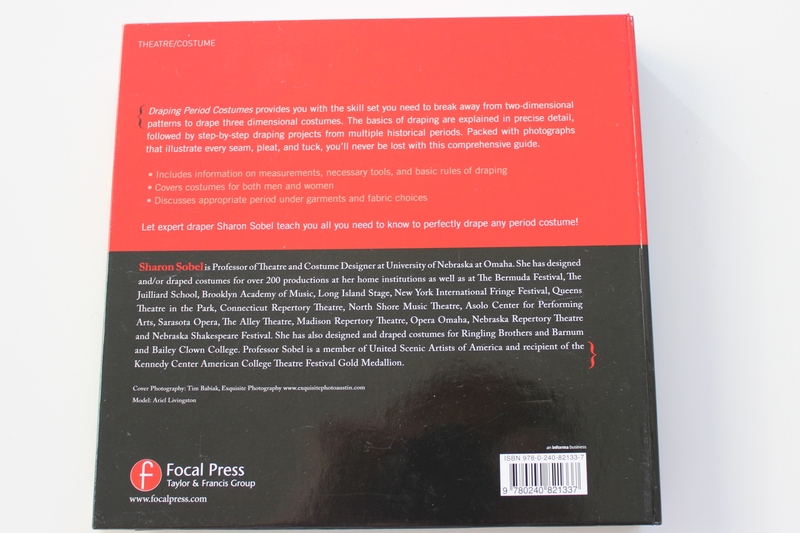 I think that maybe it should be stated on the back cover that the book recuires you to have all your fondation wear already made. I undersand that it would be difficult to drape a corset (or big panniers) on your dressform, but it really could be stated beforhand. I think it would have been nice to have some reference pictures at the begining of every chapter, to give the reader a better view of the differeent styles that existed in every period. 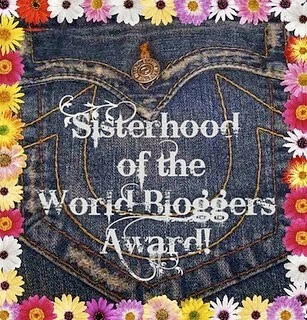 As it is now, the reader is assumed to have very good knowledge in fashion history. 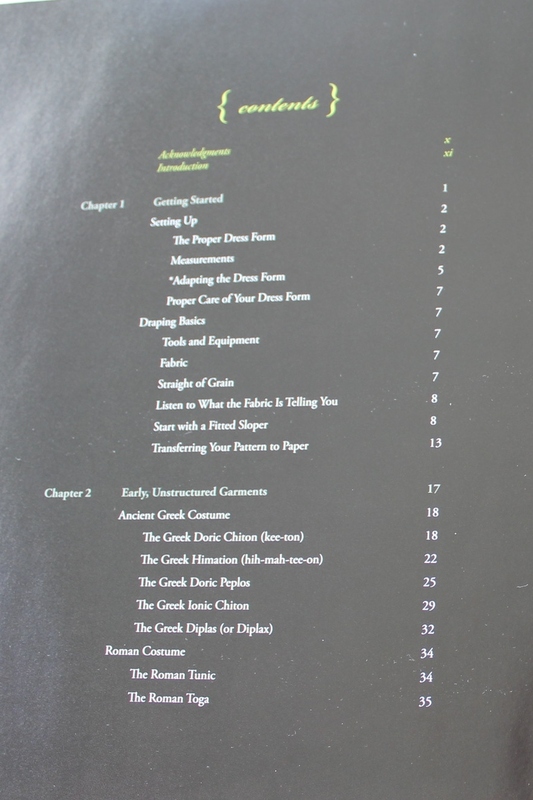 I’m also a bit underwhelmd by the huge amount of greek and roman patterns included in the book. I find it somewhat difficult to se why you would put patterns for 11 ancent garmnents and only 3 (1 ladys and 2 mens) 16th century patterns in the book. And I do seartenly miss some sleeve patterns. There should at least be one page dedicated to show how to drape a basic sleeve, and then how to alter it to fit different time periods. But the book makes no mentions of sleeves what so ever. Though the book may be great fo theatrical use, when historic accuracy is conserned every one must make their own research before using this book. I doubt that every piece in the book actually was made in the way described “back in the days”. 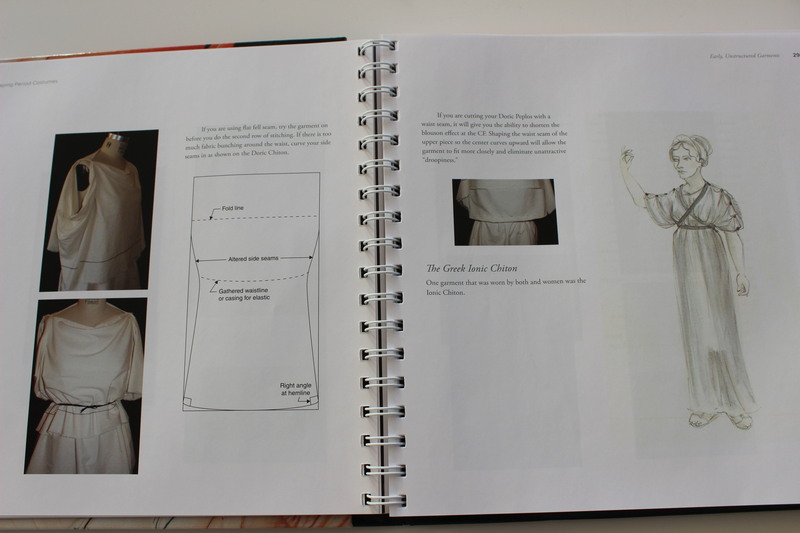 This is the best pattern draping book I’ve ever seen (and probably the first one too). 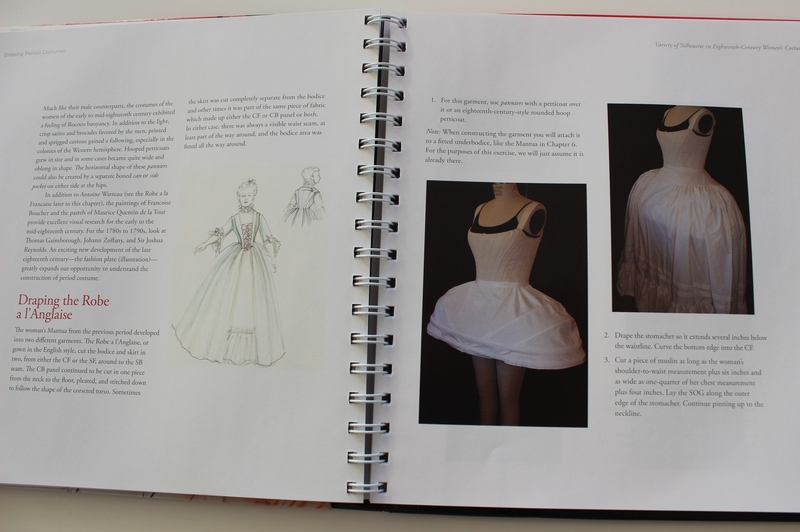 It is defenetly a book which belongs in the bookshelf of every historic costumer and modern pattern makers alike. I only hope there will be a sequel (Edwardian to Today perhaps…). I’ve got the book, but haven’t tried it partly due to the lack of information on drafting sleeves. I can’t just use my normal drafting books as they do modern sleeves and the eighteenth century sleeve is somewhat different to that. 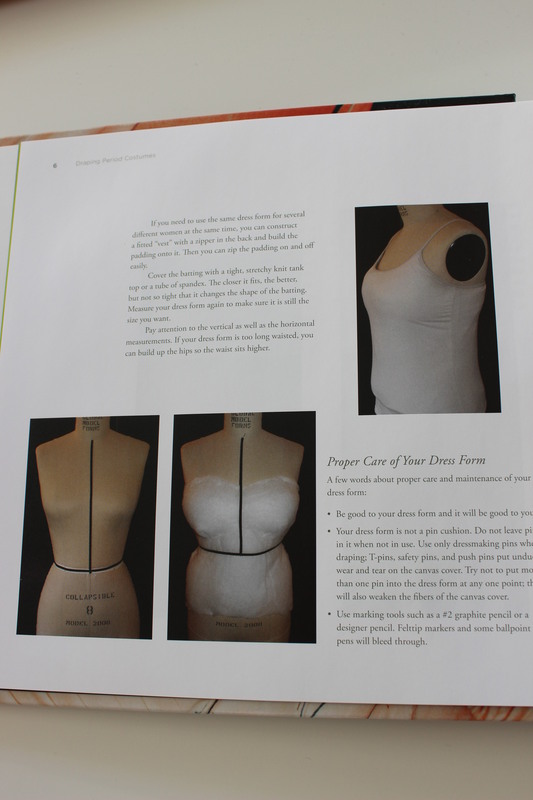 I bought that book the other day it too is my first ever book on draping. 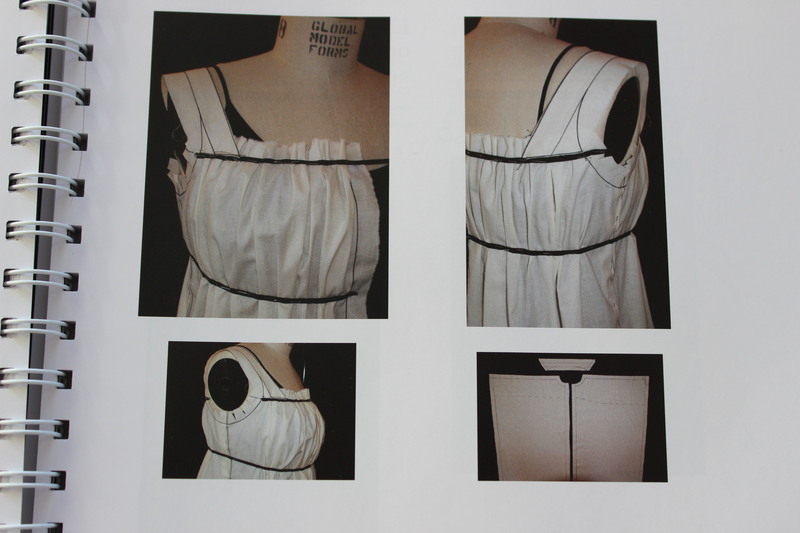 I’ve even used the instructions for draping menswear (waistcoat) and adapted it for female shape. I too was dissapointed there wasn’t more styles for each era. Although I can see how the greek/roman outfits could be adapted to make 1920’s style outfits. And as a novice would have liked at least brief explination of sleeves and how big/small/postitioning of armholes as well. I’ve borrowed it from my local library and thought it was decent, for what it is. 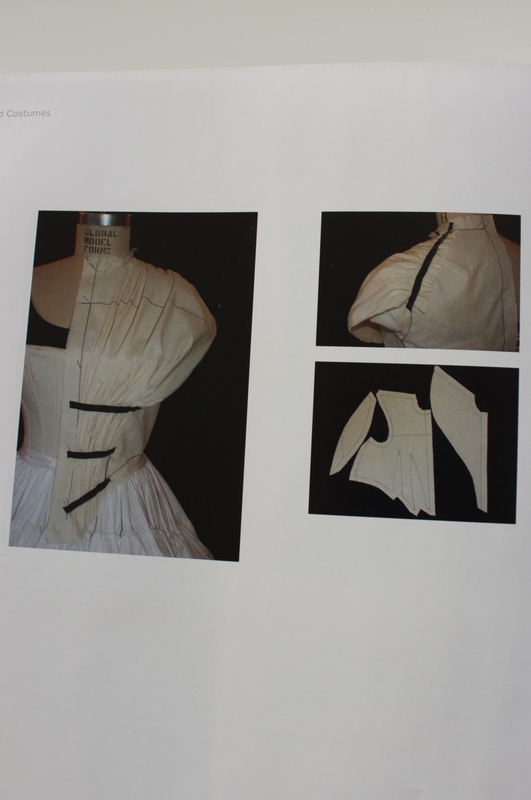 I found it helpful for seeing how draping worked on the body shapes of historical eras. 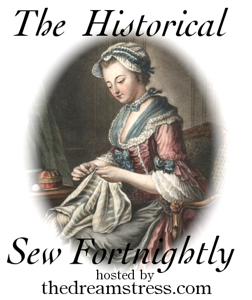 I agree about the ancient garments (too many) and lack of sleeve-engineering discussion. But it’s certainly been (and will be) helpful for this draping novice!